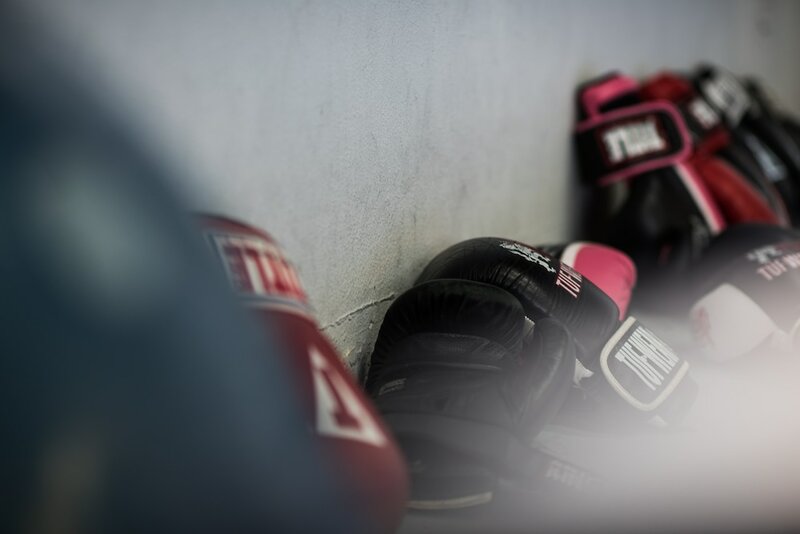 Uppercut Gym Upstairs is a private studio that offers personal training, small group classes, boxing, and martial arts instruction in a private small group environment for men, women and children of all ages and skill levels. Clients have close guidance in classes, receive nutritional guidance, and learn the art of self defense. We will take your fitness to the next level! See class schedule. 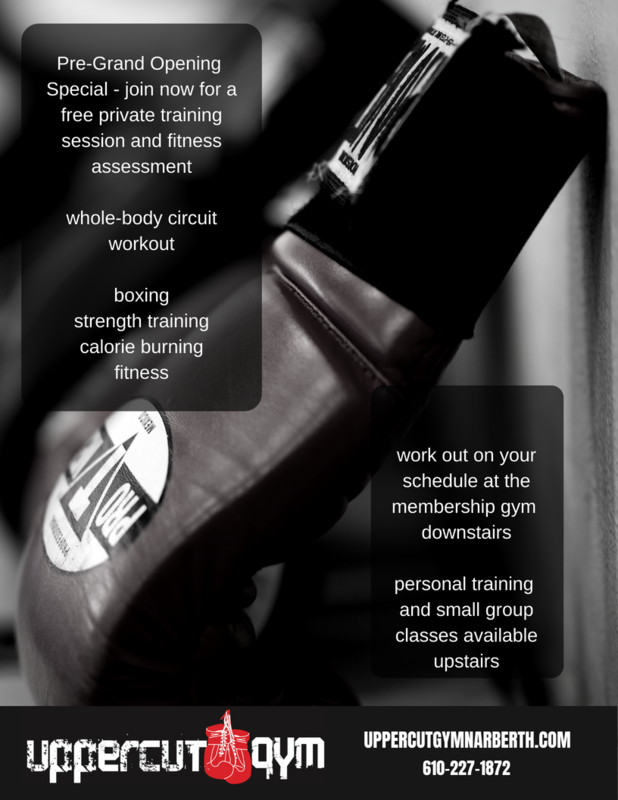 Uppercut Gym Downstairs is a whole-body circuit training membership gym downstairs, now open for monthly memberships. Try 12 rounds of two minutes each at each station, with 45-second rests in between. It's a whole-body workout, like some of the training upstairs, but in an open circuit-training gym that let's you work out all month long on your own schedule. The circuit includes traditional boxing stations, like the speed bag, plus some brand new cutting-edge fitness equipment not found anywhere in this area. Every workout is trainer supervised, and every new member receives an orientation session. Pre-Grand Opening Special Offer: Join now for a free private training session and fitness assessment. New members only.